Alcohol may be part of some dietary changes needed to manage bowel incontinence symptoms. Foods that commonly contribute to diarrhea and bowel incontinence are chocolate, dairy products, alcohol, and caffeine. Try eating less of these foods to see if it improves the consistency of your bowel movements. In addition to adding fiber to your diet, other dietary changes may include undergoing an elimination diet to see if certain foods trigger incontinence of stool. An elimination diet can be done by keeping a food diary/notebook to track all foods and fluids you eat and drink over a seven day period. The diary should also track the size and consistency (loose, hard, liquid) of bowel movements, and any symptoms such as cramping or gas. After seven days, review your diary to see if any patterns emerge, showing foods that trigger looser bowel movements or incontinence. Those foods should be eliminated from your diet for two weeks, while you continue to keep the diary. Next, you can add the offending foods back one at a time for three days to see if they cause bowel symptoms. If so, eliminate the foods completely. 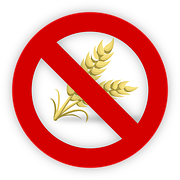 If you experience severe symptoms after eating wheat, your dietary changes may include going gluten-free. Check with your doctor about your symptoms. contact your healthcare provider, as you may have a condition called Celiac disease. Gluten is a protein found in most cereal grains (wheat, rye and barley), and is in most bread, cake, and baking mixes, pie crusts, gravy and seasoning mixes, pancakes, waffles, and some canned foods. Many gluten-free products are available, making it easier for you to substitute these foods in your diet and remove the gluten products that are harming you. So Should I Try This? Anyone that can keep a written record of their diet can try this elimination diet. Or, anyone who has a caregiver to keep the record can complete a food diary to determine if dietary changes are necessary and work. Because this is a non-invasive treatment method, most people with bowel incontinence are encouraged to try it. Know that figuring out dietary triggers to bowel incontinence allows you some control over the condition, but it may not completely eliminate your symptoms. There is no cost involved in trying this, other than replacing the foods and drinks you might normally drink with something new. This is a management or treatment method that is completely non-invasive and you can do it at your own pace. Carrying out the process for the elimination diet requires at least four weeks of record keeping. So be patient as you proceed through it. And know that it may be challenging to go without a food that you’ve become quite accustomed to … and really like! But the rewards may well be worth the efforts that you put into this. Ms. Carls, BSN, RN, CWOCN, is the nursing director of advanced wound healing and hyperbaric medicine at Passavant Area Hospital in Jacksonville, Illinois. Her article, “Prevalence of Stress Urinary Incontinence in High School and College Age Female Athletes in the Midwest : Implications for Practice” appeared in the Urologic Nursing, February 2007, and she has made presentations at national conferences regarding incontinence issues. She teaches content in the areas of wound, ostomy, and continence care to baccalaureate nursing students at MacMurray College , and facilitates the West Central Illinois UOAA ostomy support group. 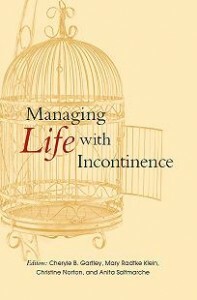 Posted in Treatments & Management for Incontinence and tagged accidental bowel leakage, bowel incontinence, diarrhea, dietary changes, elimination diet, food triggers, gluten-free diet.